I'm currently a Project Manager at Cypress Partners, LLC in Bloomfield Hills, Mich. I graduated from Wayne State University in 2008 with a B.A. in Journalism. Looking to broaden my view of the world, I spent a semester abroad studying at the University of Salford, a Greater Manchester University in England. I enjoy doing an array of activities, including following Detroit sports teams, SCUBA diving, traveling, reading, playing tennis, hand-written letters and going to the movies. 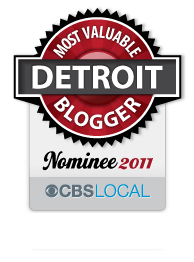 I am the co-founder of the Woodward Spine, a blog about Detroit and its surrounding communities. The Woodward Spine aims to inform its readers about relevant news and events through creative and informative posts in these core areas: news, opinion, entertainment, history, sports and development. The Woodward Spine serves the tri-county metro Detroit area, concentrating mainly on the communities that lie along the Woodward corridor. This entry was posted in Detroit and tagged detroit, gordy, grand blvd, marvin gaye, motown, new center. Bookmark the permalink.